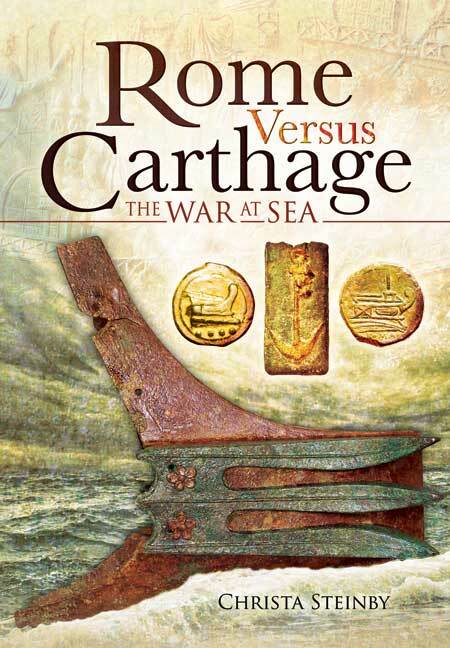 You'll be £8.00 closer to your next £10.00 credit when you purchase Rome Versus Carthage. What's this? The epic struggle between Carthage and Rome, two of the superpowers of the ancient world, is most famous for land battles in Italy, on the Iberian peninsula and in North Africa. But warfare at sea, which played a vital role in the First and Second Punic Wars, rarely receives the attention it deserves. And it is the monumental clashes of the Carthaginian and Roman fleets in the Mediterranean that are the focus of Christa Steinby's absorbing study. She exploits new evidence, including the latest archaeological discoveries, and she looks afresh at the ancient sources and quotes extensively from them. In particular she shows how the Romans' seafaring tradition and their skill, determination and resourcefulness eventually gave them a decisive advantage. In doing so, she overturns the myths and misunderstandings that have tend to distort our understanding of Roman naval warfare. An important work, which, even if it doesn't quite succeed in establishing a new consensus on the maritime aspect of the Punic Wars, does offer a strong challenge to many old theories. It offers an accessible introduction to those wanting to acquaint themselves with the subject, yet is also an excellent starting point for those wishing to delve deeper.